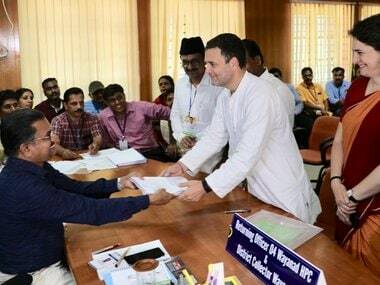 Ever since it became clear that Rahul Gandhi would contest from Wayanad (where minorities together account for over 50 percent of the population) as his second Lok Sabha seat, Congress strategists have been trying to give the move an interesting spin. They have argued that this would galvanise the party's prospects in the five southern states. 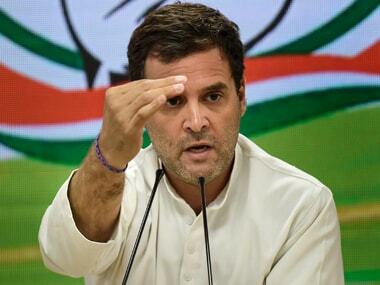 The Congress' spin doctors have made two more arguments for Rahul contesting from Wayanad — first, that he is following in the footsteps of his mother Sonia Gandhi by contesting from a seat in the South, and second, that Narendra Modi also contested from two seats in 2014 — Vadodara and Varanasi. The Congress' contention must be judged on the basis of facts and contemporary political history. Let us first compare Rahul's decision to contest from two seats in 2019 with that of Modi in 2014. Five years ago, when Modi was leading the BJP’s campaign as its prime ministerial candidate, the Congress and the BJP's other opponents considered him to be a "regional" leader. By deciding to fight from Varanasi, a place in north India associated with rich historical and cultural traditions, he was sending out the message that his appeal was national. He sought to emphasise that he had a support base across the country, at least in the whole of the North and the West. When he filed his nomination on 24 April, 2014, it was a mega political event, something that India had not seen before. While the Congress tried to organise a major event around Rahul filing his nomination papers from Wayanad, the event was nowhere close to what Modi organised in Varanasi in 2014. When Modi contested from Varanasi, he had famously said that he had been called by “Maa Ganga”. 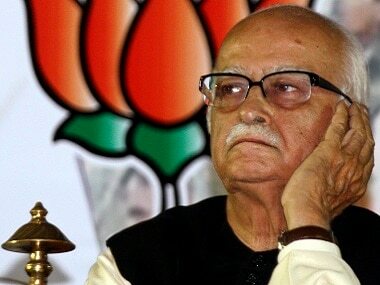 Although the BJP maintained that his presence in Varanasi would impact the party's prospects in some seats in eastern Uttar Pradesh and the border areas of Bihar, it did not claim that it would impact the whole of Uttar Pradesh, or the northern region. The Congress claims that Rahul has filed his nomination papers from Wayanad to “honour the sentiments of party workers and leaders from Kerala." Riding on Modi's popularity, the BJP had swept the 2014 election in western and northern India, while the Congress was routed across the country. 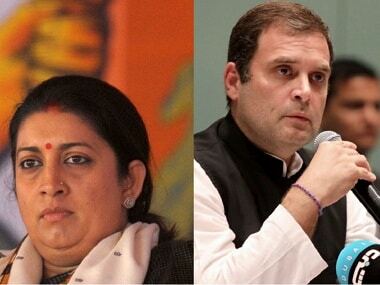 In the upcoming election, Rahul faces a tough challenge from the BJP's Smriti Irani in his family’s bastion of Amethi. 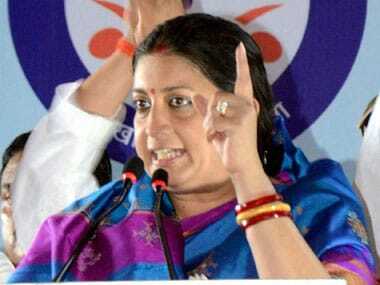 On Thursday, Irani, to make a point with the electorate, travelled to Amethi when Rahul filed his nomination from Wayanad. Secondly, the Congress claims that Rahul's candidature from Wayanad would swing the party’s prospects in 130 seats of five south Indian states, helping the Congress emerge as the single largest party, and enabling Rahul to take up the prime minister's post. Except for Karnataka, the BJP’s presence in south India is only marginal. For the past few elections, the party has been trying to open its account in Kerala. In Andhra Pradesh, Telangana, Tamil Nadu and Kerala, the Congress is thus fighting the elections against regional parties such as the YSRCP, TRS, AIADMK and its allies, and the Left Front. All these regional parties have grown at the expense of the Congress. In the last parliamentary election, the Congress drew a blank in Andhra Pradesh out of a total of 25 seats, and in Tamil Nadu out of 39 seats. It won two out of 17 seats in Telangana and 9 out of 28 seats in Karnataka. In 2009, when the Congress had won a high tally of 206 seats, it won around 60 seats from south India — Andhra Pradesh under the leadership of the late YSR Reddy making a major contribution with 33 seats. The Congress could become the single largest party because it got good numbers in north, west and northeastern India – Maharashtra (17), Madhya Pradesh (12), Rajasthan (20), Uttar Pradesh (21), Gujarat (11), Uttarakhand (all 5), Haryana (9), Punjab (8), Orissa (6) and so on. Unlike 2009, the Congress' prospects in all these regions are grim. The Congress is now on the margins in Andhra Pradesh and Telangana, is contesting 20 seats in Karnataka in alliance with the JD(S), nine in alliance with the DMK in Tamil Nadu, and is expected to yield some seats in Kerala to its UDF allies. In effect, it is contesting only about half of the 130 seats spread over the five south Indian states. It would be unrealistic to claim that Rahul’s candidature from Wayanad would help the Congress sweep polls in Andhra Pradesh, Telangana, Karnataka and Tamil Nadu. Thirdly, the Congress is conveniently twisting the facts related to Indira Gandhi and Sonia Gandhi having contested from Karnataka, and making it a template for Rahul. Indira Gandhi had contested a by-election from Chikmagalur in Karnataka in October 1978 after she suffered an ignominious defeat in Rae Bareli at the hands of Raj Narain in the 1977 election, which was held in the immediate aftermath of the lifting of the Emergency. Sonia Gandhi had filed her nomination from Bellary in Karnataka amid high drama and suspense in 1999 because the Congress leadership was apprehensive that the BJP might come up with some mischief in Rae Bareli on account of her entry into electoral politics. Rahul, responding to a query on his presence impacting the Congress’s prospects in the South, said that he has come to Wayanad to “send a message” that he is standing for south India, and to counter Narendra Modi’s alleged neglect and hostility towards the entire region. However, in response, CPI leader D Raja, the Congress' friend and ally of many seasons, shot back asking what message the Congress president was trying to send by picking up a fight with the Left. Rahul’s presence in Amethi over the past three terms could not boost the Congress’ prospects in constituencies in its immediate vicinity. Whether Wayanad will be any different is something that the election result will tell.